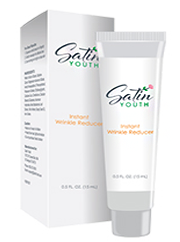 Satin Youth Instant Wrinkle Reducer Review (UPDATED 2019): Don't Buy Before You Read This! Satin Youth Instant Wrinkle Reducer is a product designed to reduce the appearance of wrinkles, lines, and under-eye circles. The product claims its breakthrough formula will rebuild and strengthen the dermal structure, rejuvenating skin and providing a natural lift. Formulated with whole collagen and anti-aging peptides, the product promises to promote the production of healthy collagen and elastin, resulting in firmer and more supple skin. Natural antioxidants will also deeply hydrate while providing protection from sun damage. 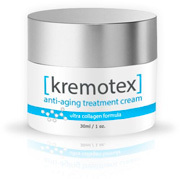 Click here to read more about the benefits of Kremotex and see before and after pictures. Glycerin: A natural humectant that can either be derived from plant oils or synthetically made. Draws water from the air into the skin, and forms a protective layer over skin to lock in the moisture. Propylene Glycol: A humectant that seals in moisture and water. It is also a skin irritant and can be toxic if ingested. Hyaluronic Acid: A natural glycosaminoglycan with exceptional skin moisturizing and healing abilities. It fills gaps between collagen and elastin, replaces lost moisture, and hydrates the skin. Whole Collagen: A naturally occurring protein, collagen is most abundant in skin, bones, and connective tissue. It provides structural support, strength, and elasticity, and it is also essential for the replacement and restoration of dead skin cells. There is insufficient evidence, however, to prove topical use of collagen is effective, or even possible. Algae Extract: Algae has been shown to stimulate the synthesis of glycosaminoglycans, which have superior hydrating properties to aid in moisturization, firmness, and elasticity of the skin. It can also reduce skin imperfections like dark circles or skin spots. Aloe Vera Juice: Aloe vera has been long known for its nutrient-rich source of hydration. It soothes skin and contains the potent antioxidant power of Vitamins A, C, and E to help protect skin from damage. Tocopheryl Acetate: This highly potent form of Vitamin E helps protect against free radicals. It also helps replenish skin lipids, resulting in improved firmness. Ascorbic Acid: More commonly known as Vitamin C, this powerful antioxidant aids in the neutralization of free radicals and helps protect against oxidative stress. Retinyl Palmitate: A combination of retinol (Vitamin A) and the naturally occurring palmitic fatty acid, it is used in skin care as an antioxidant with restorative and healing properties. Triethanolamine: An amine produced by reacting ethylene oxide with ammonia, both known toxins. It is used as a pH adjuster, buffering agent, and fragrance in some skin care products. Phenoxyethanol: A germicide and preservative used in cosmetics and skin care products. This aromatic alcohol is sometimes used as a fragrance and can cause irritation. Caprylyl Glycol: A humectant and skin conditioner that can be found naturally or synthesized, this ingredient is used in skin care products for its moisturizing properties. 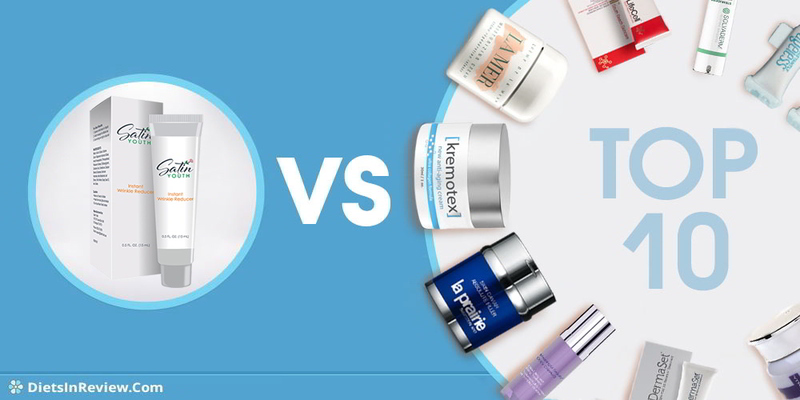 See which age-defying skin creams top the 10-best list. Satin Youth Instant Wrinkle Reducer lists most of its ingredients, which is helpful for those with sensitive skin or allergies. Several key ingredients have been proven for their ability to reverse the signs of aging, and others hydrate and protect the skin from environmental damage. Many of the ingredients, however, are known irritants, so users with sensitive skin should use with caution. Collagen is another questionable ingredient. While it is essential in the body for skin regeneration and other functions, collagen in a bottle will not fuse with collagen in the skin. The molecules are too large to be absorbed through the dermal layers, and even if they could they would be unable to tell the difference between healthy and damaged collagen. The inactive ingredients include several silicone-based substances that mainly serve as emollients, humectants, and texture enhancers. While they are generally harmless, synthetic humectants moisturize only the surface of the skin. They don’t attract moisture like natural humectants do, so they aren’t able to hydrate to the deeper layers. It will moisturize instantly, but over time it can lead to drier skin. Satin Youth Instant Wrinkle Reducer claims it is ideal for all skin types, but not all skin types react the same way to certain ingredients. Before beginning this or any skin care product, one should always check with a specialist to discuss the possible risks. 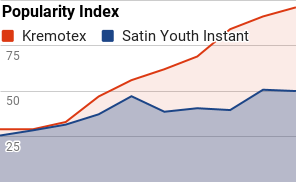 Satin Youth Instant Wrinkle Reducer is very expensive compared to similar products. A 1-ounce tube costs $99.95. Customers are required to sign up for their free trial to be eligible for purchase of the product, and a credit card must be provided to cover the shipping charges of $4.95. Once the trial is over after a period of 30 days, the full product cost will be charged to the credit card on file. Customers should pay attention to the small print to avoid unwanted charges, as they are automatically enrolled into an autoship subscription service until it is canceled. The responsibility to cancel is on the customer. Autoship subscriptions and deceptive trials aside, there is simply not enough evidence to prove or even suggest the formula works. There is a link to a clinical study, but it is not a study for the specific formula. It is a study done on Retinoids, of which one of the ingredients is derived. Without clinical results or a detailed explanation of how their specific formula fights the visible signs of aging, there is no way to be sure consumers are getting full value. The business of Satin Youth Instant Wrinkle Reducer is apparently Satin Youth Instant Wrinkle Reducer, Capital LLC, though aggressive cross-referencing of phone numbers and addresses linked this product, and many others like it, to brands known for their lack of transparency, unsubstantiated claims, and products that do not work. A page that hasn’t been updated in a very long time and was possibly forgotten listed the company name as FMG Capital LLC, which holds an F rating on the Better Business Bureau website. There are many complaints against the company, most of which stem from their deceptive marketing practices, unauthorized charges, and the required replenishment service. Many do not realize that they are agreeing to further shipments and charges simply by placing an order. Another downside to the company and brand website is the lack of information about the science behind their products. The clinically proven results are not provided, and the manufacturer information provided is, at best, dubious. There is only a partial list of ingredients available, there are no customer testimonials. The featured models, graphics, and the entire website template may look familiar to consumers because it is duplicated and used to sell many different skin care products using the same misleading marketing tactics. Nothing about the Satin Youth Instant Wrinkle Reducer website or brand seems credible. All skin care products affect everybody’s skin differently, so until you try it for yourself, you won’t know how it works for you. Fortunately, there are online reviews of Satin Youth Instant Wrinkle Reducer available, allowing consumers to make informed decisions. Reviews are generally negative for the cream. The effectiveness of any skin care product depends on individual skin type, allergies, proper application, and many other contributing factors. Please be aware when researching skin care products based on customer opinions. How Does Satin Youth Instant Wrinkle Reducer Compare? Conclusion – Does Satin Youth Instant Wrinkle Reducer Work? Satin Youth Instant Wrinkle Reducer claims it can instantly reduce the appearance of lines and wrinkles by promoting collagen and elastin production. The cream is designed to hydrate, firm, and lift the skin, but there is little evidence to prove it works. There is also a disturbing secrecy around the manufacturer, raising much doubt about the effectiveness and safety of the product. 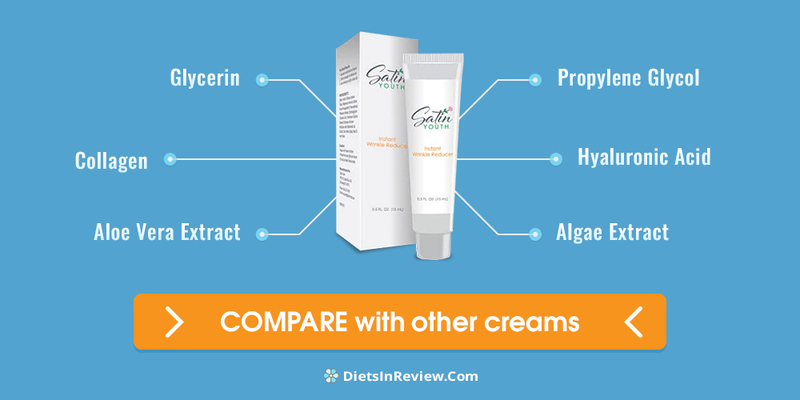 For these reasons, our reviewers cannot recommend this skin cream. There are just too many unanswered questions, as well as potentially dangerous ingredients. I try the sample and broke out from this product and decided it was not right for me. When this product came there was no information telling me that additional order would automatic be sent. when I went to send it back it was not the right shipping address and when I finally track them down I had received two more of there products. When I spoke to someone in Ca. they said I could return only one even though nothing had been open. This coats me a total so far of $!89.99 plus another $189.99 that was sent two weeks later. Do Not Buy This or Try their sample. Did you get anything from them? All I get is the run-around. DO NOT BUY THIS OR TRY THE “FREE” SAMPLES! When I tried to cancel they literally argued with me for 15 minutes trying to give me discounts on future shipments. I must have said I WANT TO CANCEL a dozen times and he kept arguing. I asked for his supervisor and he still tried to talk me into discounts! I had to scream and ask what the hell didn’t he understand about CANCEL??? OH MY GOD just the worst! Scam..scam..scam. they do not send you a free trial. They send you tiny bottles with your actually a month supply. They then proceeded to charge your card don’t do it..
How do I cancel this????????????? Satin Youth Instant Wrinkle Reducer ?